Awesome, huh? 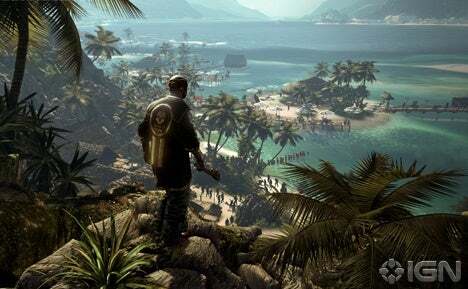 This is Dead Island, an upcoming zombie game where you are a vacationer that finds yourself surrounded by the Undead. Just that teaser alone has got me excited for this game. IGN has more details on the game, and so far it seems the developers are looking to stand out by really limiting the way we can fight the zombies. Most of the combat will come in the form of Melee attacks to block of the horde. Originally announced in 2007, it looks like this game of survival on an small Island will be looking to scare us later this year. 2011 is shaping up to shower us with great games and plenty that will scare the crap out of us all well!